This Vauxhall Astra is available in Silver, Black, White, Red, Blue other colours and lease options, subject to availability and includes a warranty. The Vauxhall Astra is a classy car with a spacious cabin which is a real highlight, looks great inside and out, and built to the highest quality. The Vauxhall Astra brilliantly shuts out road noise and the ride is just superb. Great offers for individuals with good or even bad credit history with or without a deposit to pay up front. This Astra comes in 3 or 5 Doors, Petrol, Diesel, Manual and Automatic. We offer top quality Vauxhall Astra from brand new, nearly new, slightly used or ex demo, whether you have good or poor credit rating, pay a low or no deposit. These Vauxhall Astra can be leased or financed and come with a warranty, HPI checked and when contract hire leasing, include UK nationwide delivery and AA or RAC Roadside Assistance cover for peace of mind. 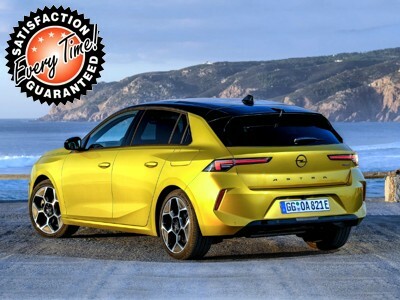 Time4Leasing can offer you the latest Vauxhall Astra lease deals at lower prices because these vehicles are exclusive and offered at lower rates to customers that have good, poor or even bad credit history score ratings. The Astra’s classy interior and smooth ride are what keeps it competitive in the crowded small family car segment, but its price is what really makes it a best seller. Our best deal is an online broker offer, but most dealers are able to offer good prices, too. These include the option of up to five years’ interest-free hire purchase and a £1000 finance deposit allowance. Owning an Astra shouldn't cost you the earth. Yes, list prices are high, but dealers will offer big discounts to prise business away from their competitors, and you'll get even larger savings from online brokers. Fuel consumption figures are competitive for the class, and reasonable CO2 emissions (especially on Ecoflex models) mean that tax bills won't be too steep for company car drivers. Vauxhall's boffins have done lots of work to make low-speed crash damage simpler and cheaper to repair, and that also drives down insurance costs. If you're wondering which Astra you should pick, it depends on your circumstances. If you’re a private buyer, the 1.4 or 1.6 SE or SRi provides lots of luxury kit for an affordable price. Company car drivers should opt for the Ecoflex due to its low emissions. Offer includes Air Con, Alloys, Sports Seats, Sports Suspension, Electric and Heated Mirrors, CD player with MP3/iPod Connectivity, Airbags, ABS, IsoFix, Alarm, Central Locking. Voted top 10 reliable Hatchbacks by The Sunday Times and Drive Magazine, and Top Gear favourite car around the track. There are 92 Vauxhall Astra Lease Deals on Offer.